My good friends at KCM have assembled some meaningful year end stats for teh housing industry. Bottom Line: residential real estate is coming back! 1) Existing home sales rose 5.9% in November over October 2012. 2) November 2012 sales were the highest monthly sales since November 2009. 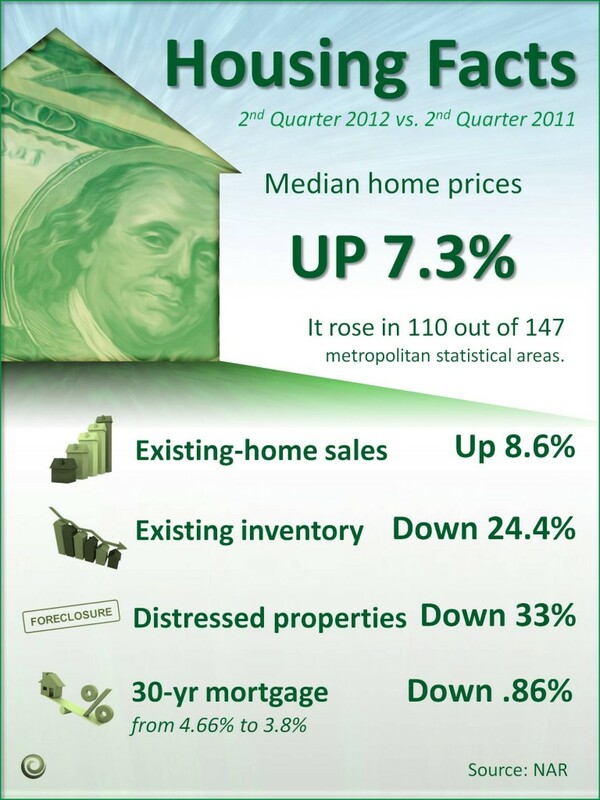 3) The National median existing-home price in November 2012 was 10.1% higher than November 2011. 4) Pending home sales for November 2012 were the 3rd straight month to increase and now are at the highest level in 30 months! 6) According to the Case Shiller Home Price Index, home prices are 4.3% higher in the 12 months ending October 2012. As always, if you do have any real estate questions, please do ask! Are you looking to get back into the investment property game? Well it just might be a very good time to do so. The single-family rental market remained very active in the late summer of 2012 with increases in demand, tightening inventory and rising rents. Nationally, rental leasing volumes were up every month for two years. In August, they were up 7% over last year. Supply was down 11% over the same period. This tightness in supply has caused rents to increase. Rent growth is expected to increase at a ‘strong clip’ late in 2012 and in 2013. 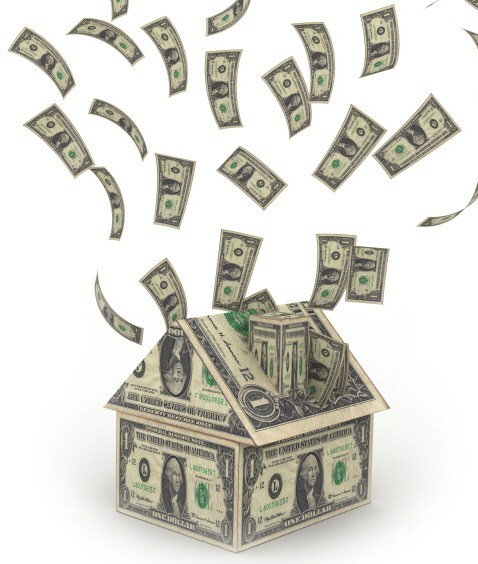 If you do have a few bucks to put someplace and the stock market or your money market is not preforming to your standards, then perhaps the becoming a Landlord will suffice! As always, if you have any questions, please do contact me. Every Month or so my good friends over at KCM take a snap shot survey of home prices and their future predictions. 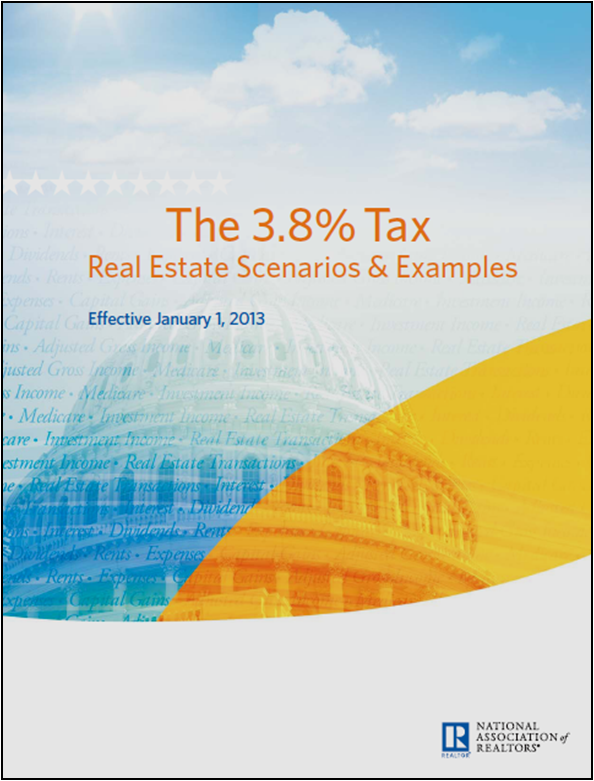 Today they released their findings from 5 national home price indexes. The good news? 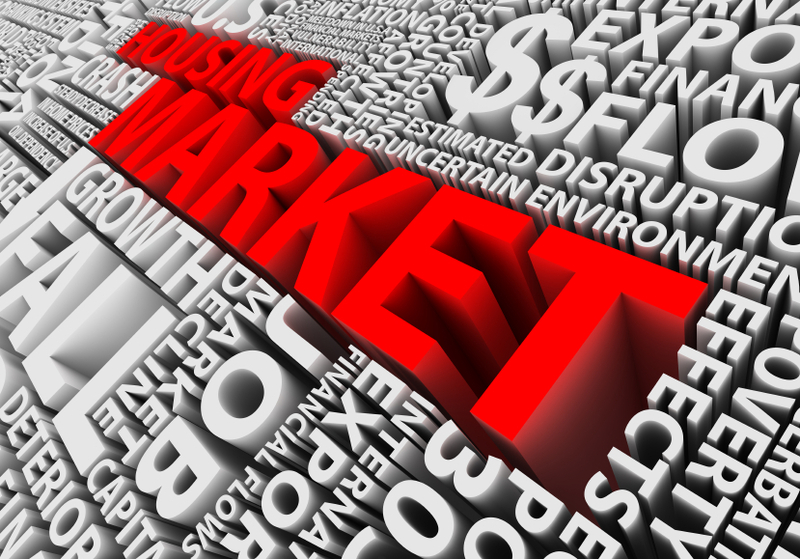 It’s unanimous belief that home prices will increase in 2013 vs. 2012. The amount? A modest 2.4%. See this link for the full story: Where Are House Prices Headed?. Many homeowners are excited to list their homes for sell, as they begin to dream about new opportunities and their future plans. However one aspect they can get carried away with is the pricing. Many times I’ve heard, “let’s price it high, and we’ll negotiate it down.” That is not always the right plan, and more often than not, it does not lead toward the most money for the seller. The statistics that I can run through the MLS Data here with the Chicago Board of Relators confirms this statement as well. The more price changes, the longer the home will be on the market, and in the long run, the less the home sells. Not too mention the cost of perhaps two mortgages (the new home and old home) or delaying a move. Bottom line – pricing is still king, and getting it right to begin is the most important factor. Please do reach out to me if you have any additional questions. 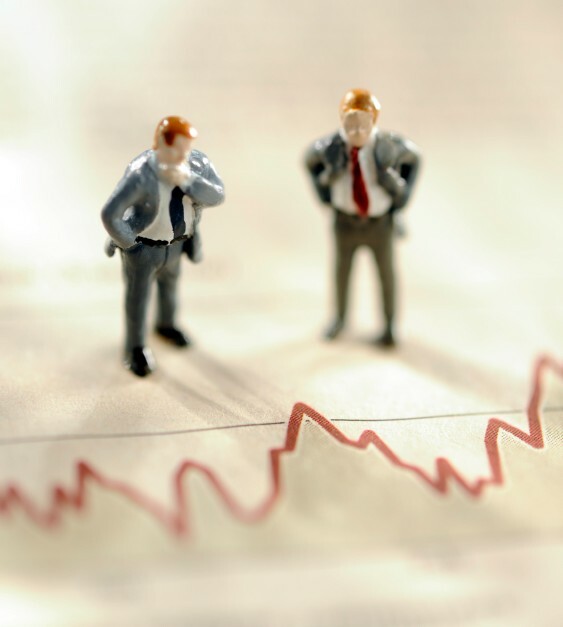 The Federal Housing Finance Agency has released their updated requirements for Short Sales. Servicers of Fannie and Freddie loans will be allowed to approve short sales for borrowers with severe financial hardship with limited documentation, provide borrowers who are current on their loan the option for a short sale if they face a financial hardship such as divorce, long distance employment transfer, or a severe disability, and provide valuation guidance to real estate agents early on in the short sale process. Servicers are required to implement the changes by Nov. 1, 2012. For the full release, see the FHFA’s News Release. As always, for more information, please do contact me. 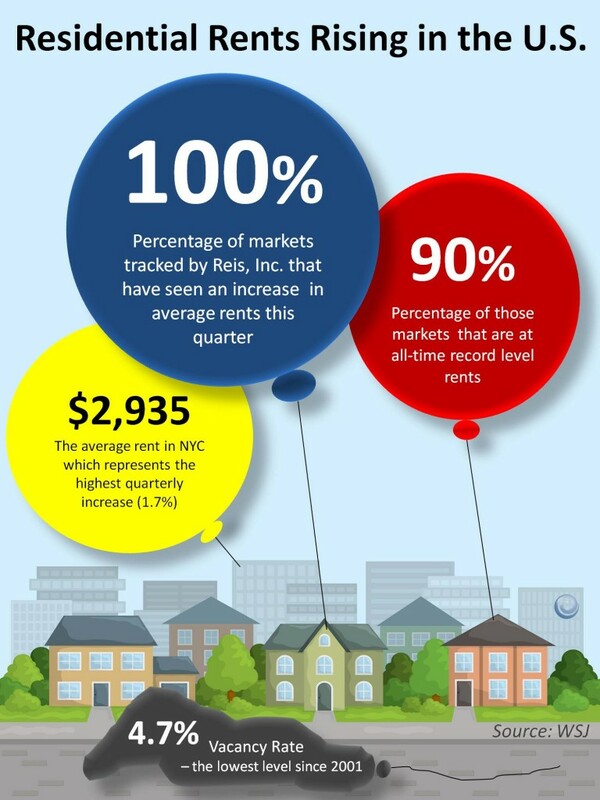 I am always asked, “How is the market?” It is nice to see graphics like the above from The National Association of Realtors (NAR), however this is a National statistic. Please remember that real estate has many local drivers and will vary based on local facts. That said, if Nationally the trends are as NAR indicates, then it is very likely that your neighborhood and community are seeing similar results. As always, if you have any questions, please do reach out in the comments or via email. Whether you support the new Health Care bill or not, as Americans we will be affected by new taxes that are included in this bill including a new .9% tax on the self-employeed and an additional 3.8% tax on those with Adjusted Gross Income (AGI) of over $200,000 (individually) or $250K if taxes filed jointly. The below link takes you to some good resources which start to explain how a typical American may be affected. Either way, it is good to be educated about what is going down on Washington. 3.8% Tax in Health Bill: Additional Resources. 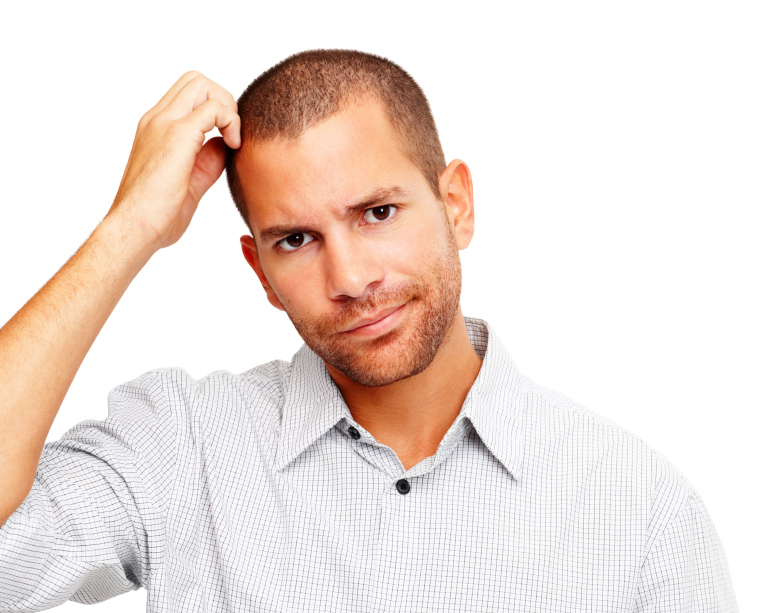 Loans and Mortgages can get very confusing for the home buyer. Add into the equation “points” and now you may have just added the hairdryer to the bathtub of uncertainty. My good friends at Keep Current Matters have recently written a nice quick blog post with some good value “points” about Points. I think this read is certainly worth your 3 minutes. Check it out here: Some Points About Points. 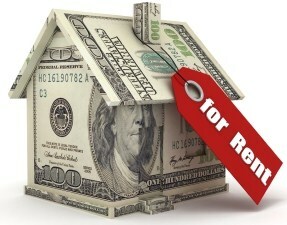 Rents On the Rise in U.S.A. According to the Wall Street Journal, rents are at an all-time high through out the United States. Couple this with nearly all-time low interest rates and a depressed housing value, maybe it is the best time to buy a home? One of the most common questions I receive deals with timing. Is it the right time to buy? Should I sell now or wait another year? In the end, these are questions that only you can answer. As a Realtor, I can help by giving you the current market facts, and what we are expecting to see – but alas, if I could read the crystal ball, I think I’d be living on an Island somewhere with warm clear water surrounding me! Particularly in Chicago, homes have begun to fly off the selves as buyers jumped off the sideline and begin purchasing in mid-January, this has not yet slowed down. But will this increase in sales begin to show an increase in sales price and home values? Sure, simple supply and demand tells us that if supply is down, and demand it up, then prices will go up as well – but is supply really down? Who do you listen to? That is the big question, but the answer is simple. 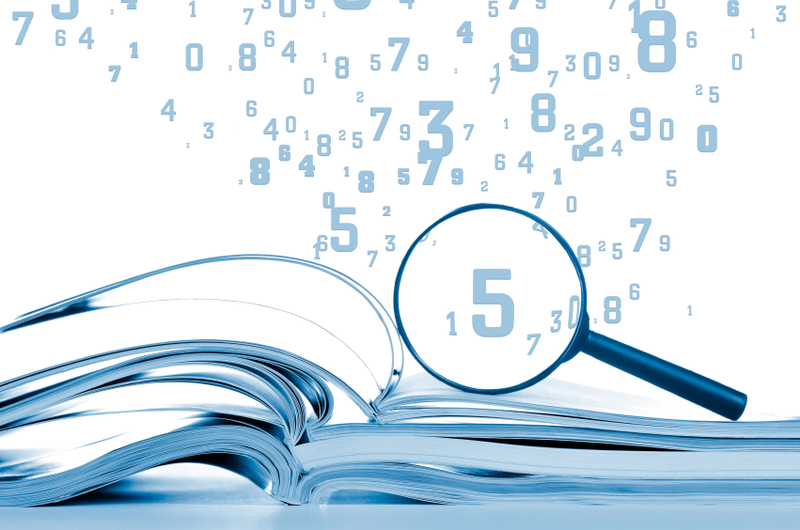 You need to collect as much data as possible, and use your Realtor as a source of information. Should I Wait To Sell My House?.